There are of course those that own the popular Samsung Galaxy S3 that still haven’t seen their smartphone get updated with the Android Jelly Bean operating system, which no doubt is annoying for those owners as many SGS3 devices are already playing nice with Jelly Bean. However, if you own the Galaxy S3 down under as of today your handset should be seeing the JB update hitting your device. According to a report by Ausdroid, Australian owners of the Telstra Samsung Galaxy S3 will see the Jelly Bean update start hitting their devices today and the update will continue to be rolled out to the Samsung Galaxy S3 on Telstra over the next two-weeks, and the Android 4.1 update is being delivered over the air. As the Android Jelly Bean update weighs in at 259MB it is advised owners grab this latest firmware over a WiFi connection, although the update will of course be available to download via Samsung Kies. Furthermore if you happen to be the proud owner of the Vodafone One X, you will also be pleased to hear that your smartphone will also receive the Android Jelly Bean update before the year is out, as Vodafone has also started pushing out the update to HTC One X devices as of today, and is being pushed out over the air. 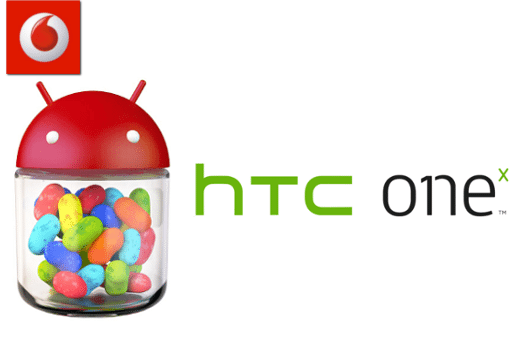 The Android Jelly Bean update delivers numerous bug fixes along with Project Butter and Google Now of course to both devices. However, unlike Telsta, Vodafone will not charge customers for downloading the JB update via the mobile network as long as they are in the country of course and use the Vodafone Live APN. Furthermore owners of the Optus One X should also keep an eye open for a notification that the Android Jelly Bean update is also being pushed out to their HTC One X. So there you have it if your are in Australia and own the Telstra Samsung Galaxy S3, Vodafone One X or Optus One X, you should gain the Jelly Bean update either sometime today or over the coming couple of weeks, and hopefully just in time for Christmas. So if any of our Australian readers that own the Galaxy S3 or HTC One X do gain Jelly Bean over the coming days feel free to give us a shout to let us know how the update went or if you experienced any problems. Updated my voda onex yesterday. What was a quick phone has now slowed down considerably!! Hi I’ve updated my S3 with Optus, and it’s not working properly. Overtime I go into my sms’s it’s crashes 2 times sometimes 3 times before I can start using it. Other people experiencing the same issue? It also freezes which never happened before. My S3 on 3g Telstra is now slow, unreliable and crashes- who do I talk to? Hi my S3 now has a “call waiting” type beep- beep during a call. Very annoying. Even after call completion, the beep – beep continues. The only way to stop it is to restart the phone. I have tried to reinstall the update twice. So far I haven’t read of a fix…… help..